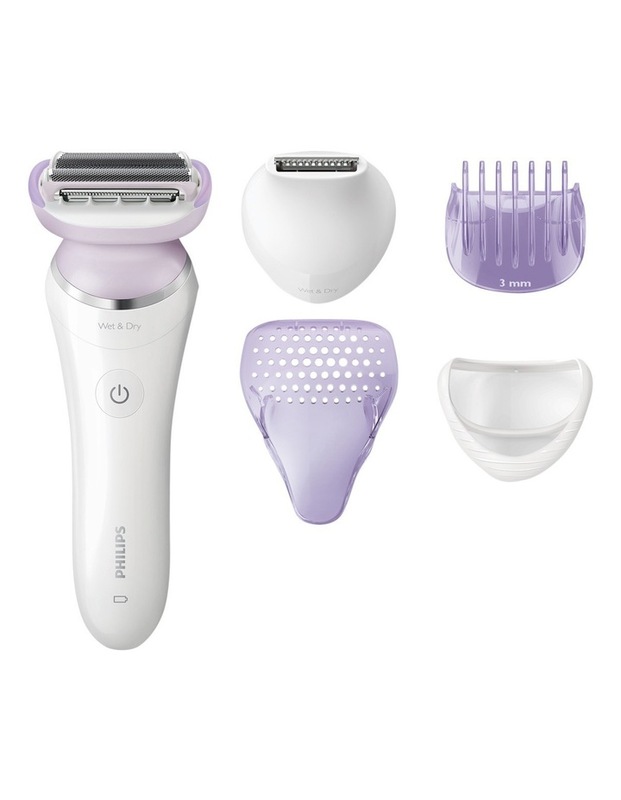 Floating dual foil lady shaver, pearl tips on shaver heads for less skin irritation, ergonomic S design, wet & dry use, li-Ion battery. 8hr charging time for 1 hour cordless use plus 5 minute quick charge. Accessories: bikini trimmer, trimming comb, skin stretcher cap, carry pouch & cleaning brush.